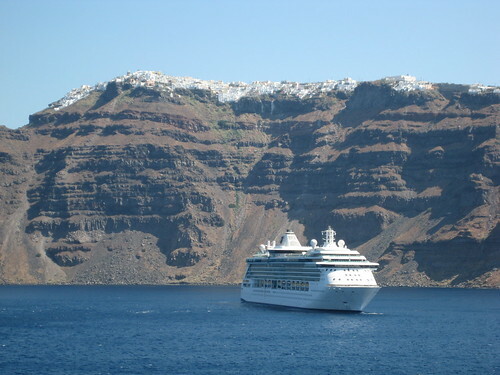 Where Will a MEDITERRANEAN CRUISE Take You? When it comes to cruise holidays, the world really is your oyster. What better way to explore the sights and sounds of our beautiful planet than to do so on sea, sailing from one fabulous destination to another, and enjoying time in each new location to wander about and experience the highlights as you wish? It's a wonderfully unique and laid-back way to travel, and instead of staying put in a hotel for the duration of your holiday - confined to one destination and relying on hire cars or public transport to get around - cruising is a fantastic way to explore a number of beautiful places all within the same holiday. And as itineraries go, you can't go far wrong with a Mediterranean cruise. Whichever part of the Mediterranean tickles your fancy, whether it's the sparkling shores of Greece, the dramatic coastline of Italy or perhaps the familiar bays and beaches of southern Spain, this part of the world is truly stunning and one that serves up one fantastic experience after another. Just think - you could be flicking through designer labels in Valencia, tucking into delicious stone-baked pizza and sipping hearty red wine in Italy, or exploring the ancient forts and narrow winding streets of Malta. Whatever type of Mediterranean cruise tickles your fancy, there are plenty of ways to find and book the itinerary of your choice. You can of course go direct to the cruise operator and book via their website or through a call centre. But this is limiting due to the fact that you are restricted to one brand. So one of the best ways to compare the vast range of cruise holidays on offer is to book via a holiday agent, such as Thomas Cook Cruise, as this gives you the opportunity to search for a much wider range of itineraries across many different operators, and choose the cruise - and the price - that suits you best.